2009, the year when I was so young and restless... and homesick! I was a newbie in Dubai, while Ed, who was still my boyfriend that time, was in the Philippines. That year, I managed to go home, to be with him and my family every six months! On January 2009, my restless feet and my homesick heart brought me to Tacloban, Ed's hometown. I instantly fell in love with the town's laid back atmosphere, so I made a promise. Allow me to borrow Gen. Douglas MacArthur's famous line, I told myself that someday "I shall return". Just like Gen. MacArthur, I kept my promise. Leyte was the second destination of our 8-day family trip. We had an hour flight from Ilo-Ilo to Tacloban. I was able to purchase the plane tickets late last year when Cebu Pacific had promotional offers. We arrived at Daniel Z. Romualdez Airport at 7 pm, checked-in at Hotel Alejandro and had a family dinner at Ocho Grill. The morning after, we started our Leyte Tour. It was not a DIY tour as Ed, his family and friends served as our tour guides. It was gloomy when I first visited Leyte, so seeing the places on a sunny weather was like being there for the first time. The first stop of our family tour was Balyu-an Amphitheater. The amphitheater has a great view of Cancabato Bay. Remember when I said Tacloban is a laid back town? Just have a look at this photo of Magsaysay Boulevard. Zero traffic road, lined with lush trees exactly within the city! Now, you know what I mean! Just across Balyu-an Amphitheater is the City Hall which sits right on top of a hill. Beside the City Hall are Philippine-Japan Commemorative Peace Park and Maria Kannon Madonna of Peace Shrine; the symbols of peace between the Filipinos and Japanese after World War II. A short distance from Magsaysay Boulevard is the Sto. Nino Church. The church is a home of the miraculous image of Tacloban's patron saint, Senior Sto. Nino. After Sto. Nino Church, we made our way to Rafael's Farm, my favorite place in Leyte. Rafael's Farm is so beautiful that it deserves to have its own spot in my blog. Click here to read more about Rafael's Farm. Remember about me being a jinx? Here's my story, while boating at Rafael's man-made lake, I sat on something that clung to my skirt and ripped the soft cotton cloth! A safety pin rescued me from the huge embarrassment. I was struck with bad luck twice in row because about an hour after, our van's tire burst in the middle of the street! Nevertheless, we were still blessed that it wasn't a major road accident. Tires where changed and we continued our tour at San Juanico Golf and Country Club. San Juanico Golf and Country Club is the latest tourist spot in Leyte. It has an 18-hole golf course, a swimming pool, a hotel and a restaurant. San Juanico Golf and Country Club was the perfect place to unwind after a series of unfortunate events. The boys had coffee at the restaurant, while us girls had some R&R time. On our way back to the city, we passed by Leyte Landing Memorial, popularly known as MacArthur Park. The large bronze statues of Gen. Douglas MacArthur and his men were build to commemorate his return to the Philippines to help the country defeat the Japanese forces during the Second World War. Near the statues are the General's speech, casts of his footprints and the Commemorative Rock Garden of Peace Monument. "Mang silot kita! ", Ed told me while we were walking at MacArthur Park. I don't speak Waray-waray. I understand a little, but I didn't get what he said. "Silot" was my waray-waray word-of-the-day! :) He actually meant, "Let's eat coconut!" The nearby street is lined with coconut trees. Bundles of coconut fruits were lying on the ground and there are shacks where people can have their coconut break. Am I making any sense? Hahaha! opened it after so we can eat the coconut meat! The soft and yummy coco fruit! Have you ever been in two places at the same time? You can at San Juanico Bridge! :) Flashpack Trip Day 4 started with a 2-hour road trip. We passed by San Juanico Bridge, the longest bridge in Philippines with total length of 2.16 km. The L and S-shaped bridge connects the islands of Leyte and Samar. Amazing! My family in the middle of San Juanico Bridge. After two hours of journey, we finally approached our destination in Samar. We went on a day trip at Caluwayan Palm Island Resort. I will also have a separate post on this; major ranting ahead! Sorry, can't help it. Anyhow, it will be up in the coming week. Fast forward to Flashpack Trip Day 5. We woke up early to visit more heritage sites and do some souvenir shopping! We went to the downtown area to purchase Tacloban shirts and local delicacies. We also visited Sto. Nino Shrine and Price Mansion, but didn't went inside as we had a flight to catch. Before leaving Tacloban, we had lunch at Guiseppe's, a Filipino-Italian restaurant. We can't leave Tacloban without trying the local delicacies..
caps, keychains and all touristy stuff! I love Guiseppe's authentic Italian Pizza! I'll be sharing our dine-out experience at Guiseppe's soon. I was so happy to be back in Leyte after 4 years. I may have visited the same places, but this trip was more special because my parents were with me. Indeed, things are best when shared. It's even sweeter this time because Ed is no longer my boyfriend, he is now my husband! I actually reminisced our bf/gf moments while we were on tour. Cheesy! Thanks for reading this super duper long post! The funny shocking truth is: this is just the beginning of my Leyte-Samar Series. I'll be back with the trip's highlights. 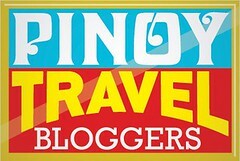 More stories, more ramblings, more misadventures and more trip tips coming up! I feel like I went there. Thanks for blogging about it. I get to virtually travel! Marami naman ung nag stop. I think it's fine if quick stop lng naman. Amazing photos! I haven't been to Leyte. The farthest I got was Cebu. Grabe ang ganda dyan! Nung makita ko yung Magsaysaby Blvd. guess kung ano naisip ko? Mag jogging of course hahahah! Katuwa ka namana, really a jetsetter kahit saan mapunta. Laidback nga! Ang ganda! I've never been to Leyte, and this time, it's on my bucket list na! That's one place I wish I can see. San Juanico bridge too. I've heard a lot about Leyte and Samar from a friend and his wife who really were from those two gorgeous places. Maganda daw talaga. You have great pictures there! Thanks for sharing. Wow, this is a must see place. And gaganda ng photos. Ganda naman. It's true when they say that the Philippines has a lot to offer. It seems that you and your family are hopping around the Visayas region. I wish we could do that as well. This is one of my favorite in commex. virtual travel. Feels like I've been there already. ooh... thank you for sharing! i've been to tacloban but i haven't gone to samar. There are a lot of places in our country that I really want to visit. And Leyte is one of them. Looking at the photos made me feel a sudden excitement to come back home hehehe! Although road trips is out of our plan for this vacation. No budget hahaha! Where's Kevin's near located at downtown? And anymore souvenir shop around Tacloban City?